You will disregard the loud, screechy sound of the retailers and local businesses who think that the arts in public space are a nuisance. This is especially so in the case of embittered tones of complainants who think their business suffers for your songs when it’s actually their own attitudes that is affecting their business. You will be involved in making the laws that regulate at what time and where you are allowed to express yourself in a public space – otherwise you will ignore such regulations. This will require that you make sure that you are fully represented in so-called improvement districts. You will treat people who treat artists with contempt with the contempt that they deserve. You will not lose your confidence because there are systems and bad habits around you that result in a lack of respect for the arts and imagination. You may break your own guitar during a performance but no one may break yours without your permission. You will make a living from your work without bureaucratic interference but rather with bureaucratic support. You will confirm often, by working, that public space belongs to the public. You will resist all attempts to intimidate you into giving up. You will make work to celebrate your rights and protest them when they are infringed. You will continue to remind us why life is worth living by spreading your work into the streets, among the people. You will write songs and make artworks for the police that treat you as violent criminals and for their masters that turn a blind eye or put you in File 13. You are a priority and you will be loved. We wish to use this opportunity to thank guitarist Lunga Goodman Nono for bringing the beautiful sound of what he sees — despite his blindness — to the St George’s Mall in Cape Town. We would be delighted if you would like to set yourself up again permanently on St George’s Mall. To this end we, the city that works for you, will provide you with a brand new 750 watt sound system to make sure that your voice is heard throughout the City Bowl and as far as Scarborough. Furthermore, we will make you a home-cooked delicious lunch every day from now on. 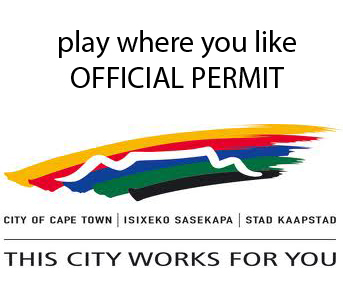 Thank you for playing for free on the streets of our most beautiful city. Your permit is below. Please feel free to print and use. Please also give it to your friends.